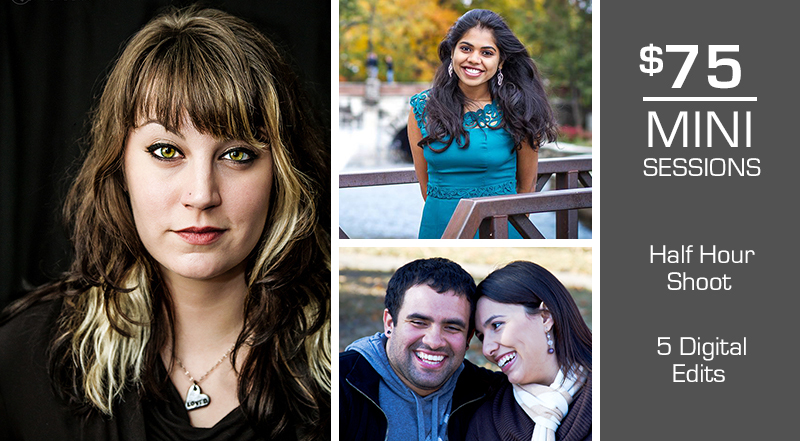 Dave Zumbek Photography is now offering $75 mini portrait photo sessions to the Peoria, IL area. Mini sessions are 30 minute photo shoots at a nearby location of your choosing. Every session comes with 5 edited digital photos and print release.